Hey there, I'm still here. 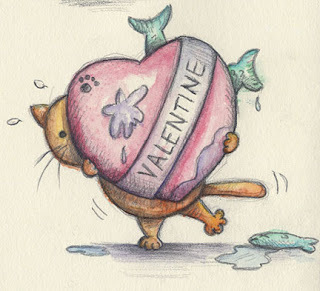 I'm developing some design ideas for Valentine's Day cards. Here's a sketch that I like but I did another one instead. I didn't finish anything in time to produce a card for sale this year but I will have them next year. I will post the finished one in the next day or two here and on Deviantart.